Head to DAZZEL to enjoy a range of cuisines, as the restaurant serves Italian, Chinese and Continental food under one roof. 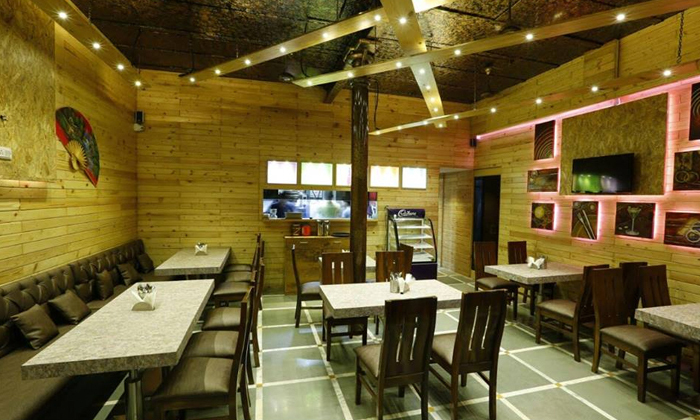 For those who absolutely love vegetarian food, then DAZZEL is the place for you. With chefs who have mastered the skill, you are sure to enjoy the dishes they create with the use of fresh ingredients. With various facilities, pleasant ambiance and screening of your favorite sport, makes DAZZEL a great place to dine at. Prompt and polite services by the staff is sure to appeal to you. The restaurant also ensures home delivery if you are exploring that possibility.